'The fox knows many things, but the hedgehog knows one big thing.' This fragment of Archilochus, which gives this book its title, describes the central thesis of Isaiah Berlin's masterly essay on Tolstoy. 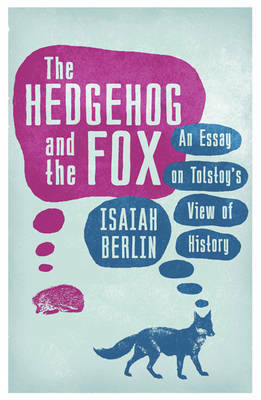 There have been various interpretations of Archilochus' fragment; Isaiah Berlin has simply used it, without implying anything about the true meaning of the words, to outline a fundamental distinction that exists in mankind, between those who are fascinated by the infinite variety of things (foxes) and those who relate everything to a central all-embracing system (hedgehogs). When applied to Tolstoy, the image illuminates a paradox of his philosophy of history, and shows why he was frequently misunderstood by his contemporaries and critics. Tolstoy was by nature a fox, but he believed in being a hedgehog.